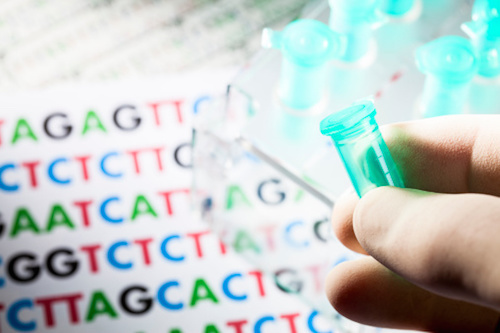 Weill Cornell Medicine (WCM) and the New York Genome Center (NYGC) announced the award of a National Cancer Institute grant of $2.45 million over five years for the organizations to develop a cancer genomics data center to support research and clinical interpretation of tumors. The joint center will perform computational analysis of DNA and RNA to better understand the role of specific mutations and to determine their clinical relevance in identifying and treating cancer. The WCM-NYGC genomics data center is one of 11 nationwide that was selected to participate in the next phase of The Cancer Genome Atlas (TCGA), an initiative of NCI and the National Human Genome Research Institute, which, to date, has generated maps of significant genomic changes in 33 different types of cancer. The publicly available database of TCGA contains more than 2 petabytes of data genomic data that is being used widely to improve the diagnosis and treatment of cancer. Inclusion in this consortium of contributing research organizations allow researchers at WCM and NYGC, early access to new data contributed to the atlas, as well as access to the project’s advance genomic analyses and methods. to study the role of mutations involving large portions of chromosomal abnormalities. The research team—which is also lead by co-PIs Dr. Mark Rubin, director of the Englander Institute for Precision Medicine and the Homer T. Hirst III Professor of Oncology in Pathology at Weill Cornell Medicine, and Dr. Michael Zody, senior director of computational biology at NYGC—has already developed a several analytical tools to interpret various types of mutations frequently found in cancer genomes. It will now be able to run these same computational programs on data in TCGA. the development of tools to detect how mutations correlate with the abnormal expression of genes. The collaborative research will leverage Weill Cornell Medicine’s clinical genomics expertise, demonstrated by the first New York State-approved whole exome sequencing test, with NYGC’s computational infrastructure with more than 5,000 cores and 10 petabytes of storage and data management expertise.